Safe for children and pets - dries, in 4 hours. Hi my name is Ozzy the owner/operator of Pro Clean Wood Floors. Remember if you have kids please hug them and tell them how much you love them because before you know, they will grow up, be out of the house and you will miss them. Welcome to Pro Clean Wood Floors your local flooring experts specializing in hardwood floor refinishing using both sanding or non-sanding systems. 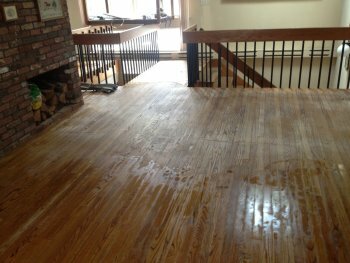 No matter what condition or age your wood floors may be, we can bring them back to their original shine. 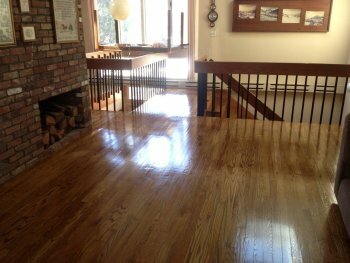 Since the year 2000 we have helped hundreds of homes throughout Central Mass & the Metro West have brand new looking floors again! Pro Clean makes refinishing wood floors easy, economical and painless! With our Non-Sanding floor refinishing system there is No dust to clean up, No odors or fumes and most of the jobs are complete within 6 hours. 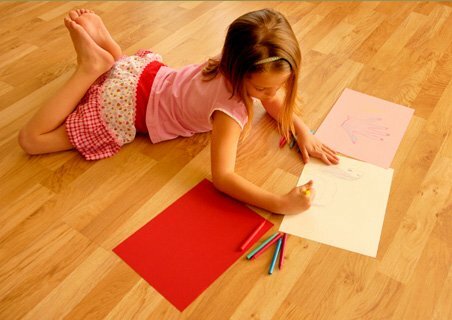 Your hardwoods will look brand new within a day with zero mess while your pets & children can be playing on the floors the same day they were refinished. If you prefer having your wood floors sanded and refinished, we are masters of this technique as well. Our team of flooring experts have many years of experience sanding and refinishing even the toughest of antique floors to bring them back to their original luster. No matter how you want to refinish your hardwood floors we have the experience, pricing and solutions that’s best for you. Please give us a call for a free consultative estimate anytime. © 2018. Pro Clean Wood Floors. All rights reserved.